The month of Nisan is very special. It’s the first month of the year and begins six ‘male’ months. On Rosh Hashanah we have a judgment day and it starts the six ‘female’ months. Nisan is considered as the month of joy and Redemption. We don’t visit cemeteries unless it’s for Tzadikim. There’s a great Light revealed in Nisan and it grows from the first day of Nisan until the fifteenth, when we follow the Seder process to connect to the complete revelation of the Light of Zeir Anpin. Every day of the first days of Nisan is a seed for the future corresponding month. We should put extra efforts to be at our best so we can ‘plant’ better seeds for the future month. Rabbi Tzvi Elimelech ZT”L in his book ‘Igra D’Kala’, in the commentary to the portion of Pekudei, writes that people with pure vision can see the future of what will happen in the future month. He brings a story about another Tzadik that meditates every day for the corresponding month until the month of Av because he saw that on that month he is going to be called to heaven. 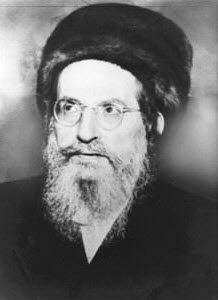 Tzadikim suggest praying and meditating everyday to have the best year. We want to have a perfect year so we need to be perfect every day. Focusing on purity and positivity in every thought and action. I strongly suggest scanning the entire chart of the 72 names and not individual names. I am not sure about the benefit of some individual names. Names are forms of angels that channel specific energy. If they are not used with proper Kabbalistic knowledge then the outcome could be the opposite of what expected. As far as I have checked, I didn’t see anywhere in the Zohar references to specific names from the 72 names. Only the entire chart in different orders. It would be even better to use the 72 names prayer that I recorded following the script of a famous Kabbalist. Check the links below to watch videos with explanation and the full prayer. We can add meditation on the one or two letters of the month and reading/scanning the related chapter from the Book of Formation, “Sefer Yetzirah”. Link to a PDF below. Work on yourself every day to your maximum ability. Always be honest, sharing and spiritually connected. Read/Scan/Listen/Study the Zohar every day. Never miss opportunity to do good. Make donations every week, not once a month or once a year or when you feel like it. Break your tithe into smaller amounts so you can do it every week, developing the quality of sharing in you and expanding your soul. The Torah/Zohar and the Light they radiate will grow within you on the spiritual and material level. After the 12 days, you don’t take spiritual vacation, because there’s no such thing. Challenges will come your way and the best way to successfully overcome them is by studying, praying and sharing. Setting ‘order’ in yourself prepares your for the night of the Seder (Passover night) that is all about order. We follow 15 steps that draw the great Light into our vessel, which we prepared ahead of time.